Do you have one of these bad habits? Here's how to stop. Play nice with your curls--they'll thank you in the long run. The problem: The real and horrible thing you want to prevent is breakage because you have been working so hard to maintain healthy curls. Detangling should be done with conditioner in your hair in the shower; this makes it much easier to fight those stubborn knots in a gentle way. The solution: Opt to use a wide tooth comb or a brush with wide bristles. The best way to detangle curly hair is to start from the bottom and work your way up like Drake. And if you can, finger detangle; the average head sheds 50 to 100 hairs a day, so don’t be scared if you lose some hair in the process. The problem: By touching your hair all day all it’s doing is removing moisture we try so hard to obtain. Not to mention all the dirty bacteria our fingertips carry, can you imagine all that transferring over to your hair? Ew! The solution: I know those curls are so irresistible, but try not to touch them so much. 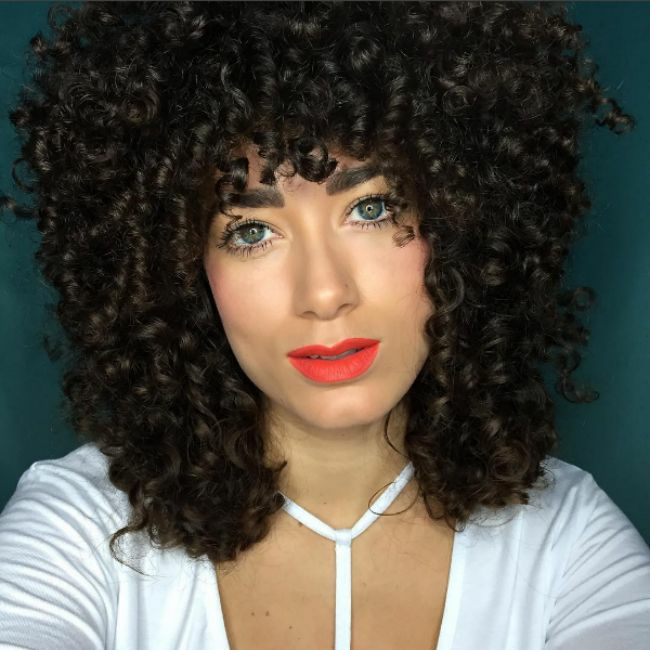 The problem: Every curl is not made the same and during those bad curl days it’s easy to go on social media and dwell on those beautiful curly goddess we admire so much. Let me ask you something on a bad hair day do you post a selfie of it? No? Same goes for your curly hair inspiration. The solution: Yeah, I said it. We love to compare our hair with our curly inspiration, stop that! We all have different hair patterns, different hair porosity and different hair journeys. Embrace what is yours and enjoy what you have; your hair regimen is yours and what works for you. The problem: Guilty, again--I’m a clean freak, I just assume oh I haven’t shampooed my hair in 2 days it’s dirty. Most blogs recommend shampooing once a week. Most shampoos strip your hair of the oils it needs, which can be drying and damaging. The solution: Opt for co-washing instead in-between your shampoo days. I do suggest a sulfate free shampoo which will definitely help with stripping away important oils your hair has without sacrificing that clean feeling. The problem: So you have long curly hair, but it looks like crap? You have the case of the long hair don’t care syndrome. I gotta say, I pride myself in being an extremist when it comes to haircutting. If your hair looks unhealthy, it’s time to trim the ends. The solution: I’m not saying to chop off all your hair, but when you see your hair is filled with split ends and your ends feel really dry? Chances are you need to CUT IT! Healthy hair triumphs length any day anyways.